The elbow bends slightly when the arm is extended to allow the forearms to pass the hips while walking. This bend, called the carrying angle, also helps activate synergist muscles involved in carrying weight by hand. Typically the carrying angle ranges between 5 and 15 degrees. Some injuries can change the structure of the elbow after healing, causing the carrying angle to increase or decrease beyond the normal range. Doctors use a measuring device called a goniometer, which looks similar to the hands of a clock, to measure a patient’s carrying angle and assess for elbow damage. Ask the patient to stand up straight, roll his shoulders back and gently rotate his palms to face forward. Straighten the goniometer. Move the two arms into a straight line so that the readout on the plate shows 0 or 180 degrees. Place the goniometer’s measurement plate at the fulcrum of one elbow. Line one arm of the goniometer along the middle of the patient’s upper arm. Swing the goniometer’s other arm along until it lines up along the middle of the patient’s forearm. Record the angle from the readout on the measurement plate. Subtract the measurement from 180 if your initial readout was 180 degrees. 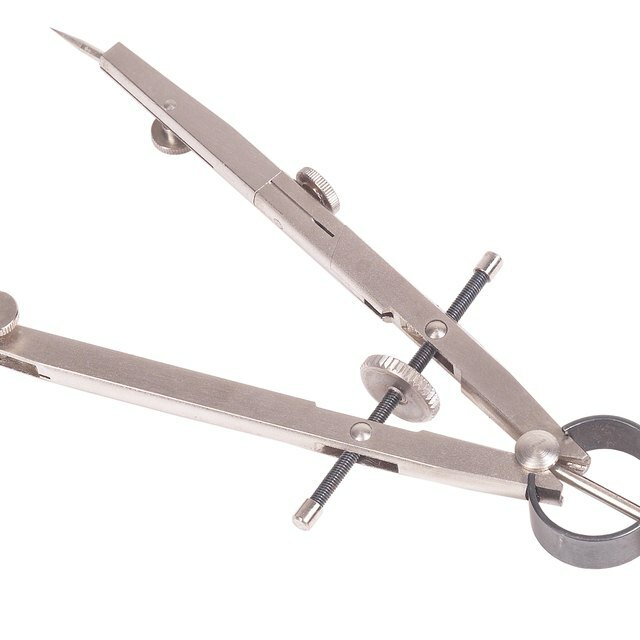 For example, if the straight goniometer read 180 and it read 170 fitted to the patient’s elbow, then the patient’s carrying angle is 180 – 170 = 10 degrees. Repeat the process with the other elbow. Record the carrying angles for both elbows, recording from which arm each measurement was taken. What Are the Parts of a Sextant? Butner, Sean. "How to Measure the Carrying Angle with a Goniometer." Sciencing, https://sciencing.com/measure-carrying-angle-goniometer-10000298.html. 24 April 2017.